This part of building Brown Girl Tarot has been an interesting challenge. Mainly because setting up something that is both informative and enticing is more of a challenge than one might think. Plus, I can get rather fussy about presentation and navigation, so I spent a long time trying out plug-ins, ways to embed other sites into the BGT site, etc. (For those who’re wondering, the Library is currently built using the Novelist plugin.) All my fussing is done, this resource is here now, and I hope that it is a blessing to the tarot community! Unfinished entries will look a lot like this. The Library is currently a labor of love that will grow as I work on it in chunks. Like so many of us do in this day & age, I’ve got lots of moving parts to this thing called survival. So if you’d like to support the growth of the Library (and the greater organization), please consider becoming a patron or sending a contribution via PayPal. If you’d like to make a deck suggestion, please do! I currently have a list of decks waiting for me to enter into the library, so I may already know about the deck but I very well may not. I’m considering publishing entries for all the decks I know about, even if I can’t flush out the entries just yet, just so people at least have a list. Let me know what you think in the comments below. Before I go, I just want to thank the following folks for inspiration. This list includes readers and bloggers who I admire, as well as sites that seeded my ideas for the BGT Library. That’s all I’ve got for now. 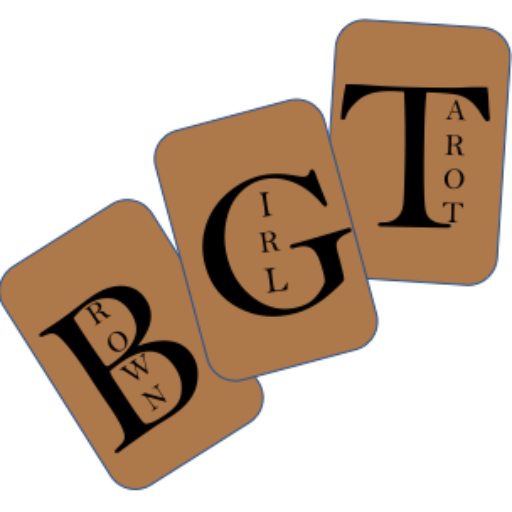 Let me know in the comments whether or not you’d like to see “empty” entries, stay tuned for a link to the guest post, & head on over to check out the Brown Girl Tarot Library in the meantime!